At that moment, I felt like crap of all the times I felt my job prospects, coincidences, and paths in life have seemed unfair.. I run into these girls, who are automatically disqualified and have their paths set for them, simply because of their gender. Our current status is more or less our fault.. determined by the moves that we were or were not willing to make in the past. We could’ve studied more to pass a test. Or could have taken an extra course to stay competitive in a job. We can commit to the full plan, to lose the weight. Yes, some things are a crap-shoot.. and simply happens. But today, my girls taught me to be a little more thankful that I’ve at least had a chance. So, here’s to my Eman (future psychologist), Faten (future business woman), Afrah (future teacher), and Bashaer (future professional soccer player)… My few motivated ones, who are such hopeful dreamers to do something different. I pray that your country will see that you have more potential than any man..
What learning moment have you had while teaching?? In a previous post, I talked about my goal of raising free-thinkers.. Not to the extreme.. but just enough that the ladies learn to have their own opinions. So far…so good 🙂 In the 2 months that I’ve been here, my classes have gone through 3 projects to develop this. And I’m realizing how much of a new concept this is to many. Problem-Solving: I won’t say that all of the ladies are spoiled… but pretty much! Because many Saudi women don’t work in this country, they are given allowances..some pretty hefty allowances. Ask anyone of them what their hobby is, and the answer is “shopping”. It’s not uncommon to have personal drivers and housekeepers. Heck, I even have one. Therefore, there’s not too many problems that these women have the experience of solving. So we chose broader topics like pollution, obesity, and having too much free time (something they know plenty about). Although solutions were as simple as “recycle”, “exercise”, .. the success was for them to think of more hobbies besides shopping during their free time. The presenters came up with a nice little list. Whether they will do it or not is another question.. The first question I’m asked by family and friends after they found out where I was going.. “Do you have to cover up? ?”… Yes, I do have to, wherever a man is present. In the KSA, women can only be uncovered around other women, her husband, and their family. So basically, all of these clothes I brought for whatever occasion will never be seen accept at work (my all-women’s university) and when I am in foreign-friendly areas (desert hikes and compounds). 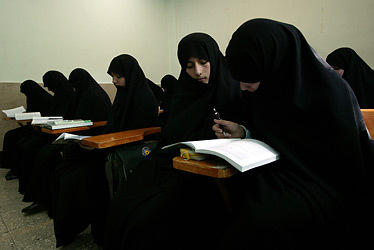 The abaya is a long cloak, that is traditionally all-black. But you will often find today’s abayas with different material, designs, colors and sparkles on the sleeves and the base. As a non-muslim foreigner, this robe is the only strict requirement to wear in public. 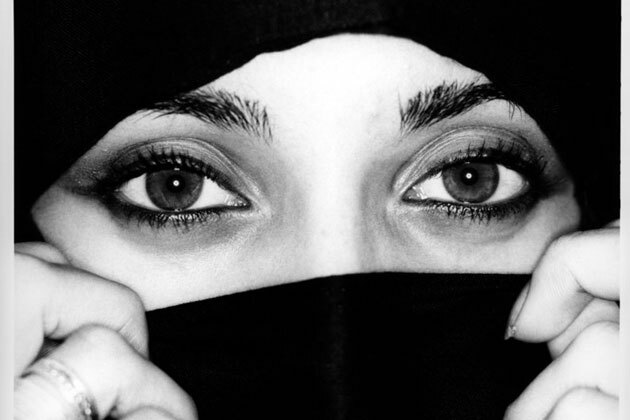 The niqab, is a piece that covers the face, besides the eyes. I am not required to wear this. However, it seems to be quite helpful during this sandstorm season. Covering your hair with a scarf or hijab, is less enforced for non-muslims, but I’m sure you’re more respected if you don’t go against the grain. Everyone carries a scarf just in case they are approached by the muttawa, the religious police. There’s always going to be a fuss about it. But as extreme and restrictive the abaya may seem to some, it’s quite easy to get used to. Out of all of the factors that contribute to daily stress, this attire is the least of my worries. Yet, is the main thing people want to know about. The language and the segregation, is the big adjustment! My roommate actually remains covered behind the locked doors of our apartment, which probably makes me look like a heathen in my loungewear. I’ve seen some pretty cute abayas.. and I already own 4 (3 I’m in the process of getting altered) and a 5th one being designed. I’m thinking about putting a modern/Latin spin to it 🙂 ..